Here is rundown of SEC Teams in 2019 postseason play (NCAA and NIT). No. 5 seed Auburn is still alive in the NCAA Tournament and will play No. 1 seed Virginia on Saturday April 6. The SEC’s seven NCAA Tournament selections are the second-most in league history. Last year the SEC had a record eight selections. 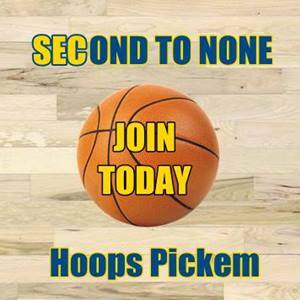 The SEC has had 15 NCAA Tournament selections over the last two years of the event. Only the ACC (16) has had more. The SEC has advanced a team in the Final Four six of the last nine years. Eight different SEC teams (Arkansas, Auburn, Florida, Georgia, Kentucky, LSU, Mississippi State and South Carolina) have appeared in the Final Four. This was the second time in three years that two SEC teams have met each other in the Elite Eight (2017 – Florida and South Carolina). Four teams advancing to the Sweet 16 tie for the most in league history (1996 and 1986). The SEC has had at least one team in the Sweet 16 in 29 of the last 30 NCAA Tournaments. SEC teams are 66-36 (64.7 percent) in the NCAA Tournament since 2012 (10-3 in 2012, 4-3 in 2013, 12-3 in 2014, 6-5 in 2015, 3-3 in 2016, 11-5 in 2017, 8-8 in 2018, 12-6 in 2019). Every SEC team has made at least one NCAA Tournament appearance in the last five years. 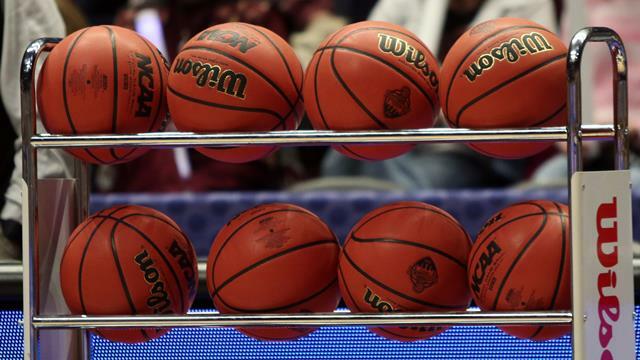 Five SEC schools in the Top 20 of the NCAA’s NET were tied for most among all conferences. The SEC’s 131 Quadrant 1 and Quadrant 2 wins ranked second among all conferences. All 14 SEC schools played schedules that ranked among the Top 80 SOS in the NCAA’s NET, nine ranked in the Top 50. Four SEC teams are ranked in the Top 15 of the Associated Press Poll – Tennessee 6th, Kentucky 7th, LSU 12th and Auburn 14th. Twelve SEC teams have received votes in the AP Poll at some point this season with six being ranked in the Top 25. On Jan. 21, six SEC teams were ranked in the AP Top 25, tying for the most in a single AP poll in league history. The last time six teams were ranked in the AP Top 25 was exactly 16 years previously on Jan. 21, 2003. Auburn earned the SEC’s automatic bid to the NCAA Tournament by virtue of its first SEC Tournament championship since 1985. The Tigers are making their second consecutive NCAA appearance and 10th in school history. It is their first Final Four appearance. Kentucky extended its national record for most NCAA Tournament appearances to 58 this year. The Cats own a 129-52 all-time record in NCAA action, with their .713 winning percentage the fourth-best in NCAA history. UK made its seventh Elite Eight appearance in 10 years. LSU received a berth into the NCAA Tournament for the 22nd time in school history. The Tigers made their 10th Sweet 16 appearance and first since advancing to the 2006 Final Four. Tennessee earned a program-best No. 2 seed in the NCAA Tournament for the third time ever (also in 2006 and 2008). This was UT’s 22nd all-time NCAA Tournament appearance. The Vols made their eighth Sweet 16 appearance. Florida earned a trip to the NCAA Tournament for the third straight season and 20th overall. Ole Miss appeared in the NCAA Tournament for the ninth time in school history. Mississippi State returned to the NCAA Tournament for the first time since 2009. It was the 11th overall NCAA appearance for the Bulldogs. Alabama and Arkansas appeared in the NIT. LSU earned its 11th SEC championship with a 16-2 conference record this season. It is the first league title for the Tigers since 2009. Auburn won its second SEC Tournament championship with an 84-64 win over Tennessee. It was the fourth title game appearance for the Tigers. East First Round – Jacksonville, Fla.
Midwest First Round – Jacksonville, Fla.
South First Round – Columbia, S.C.
East First Round – San Jose, Calif.
East Second Round – Jacksonville, Fla.
Midwest Second Round – Jacksonville, Fla.
South Region Semifinal – Louisville, Ky.
East Region Semifinal – Washington, D.C.
Midwest Region Semifinal – Kansas City, Mo. Midwest Region Final – Kansas City, Mo. National Semifinals – Minneapolis, Minn.